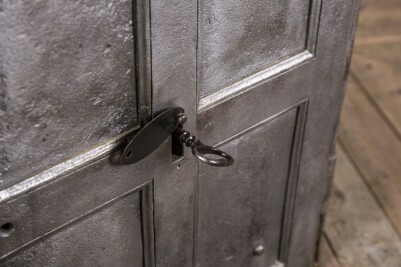 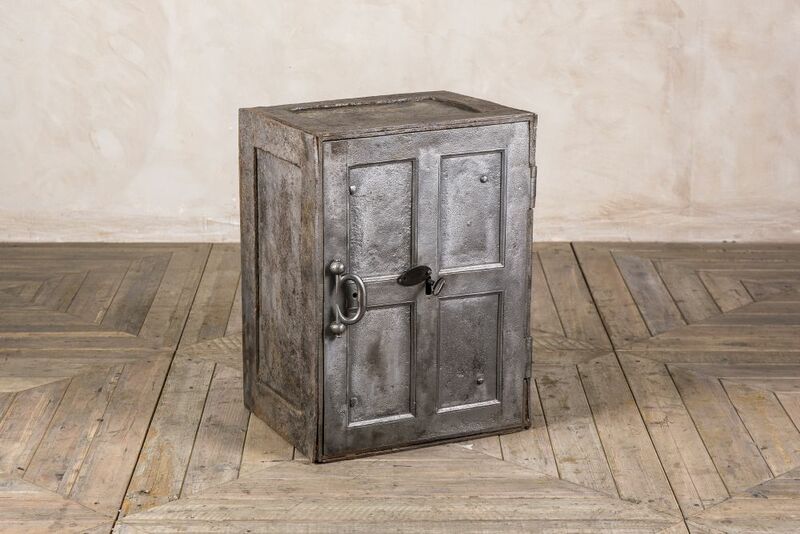 Ideal for adding unique character to a space, this antique cast iron safe is perfect for industrially inspired interiors. 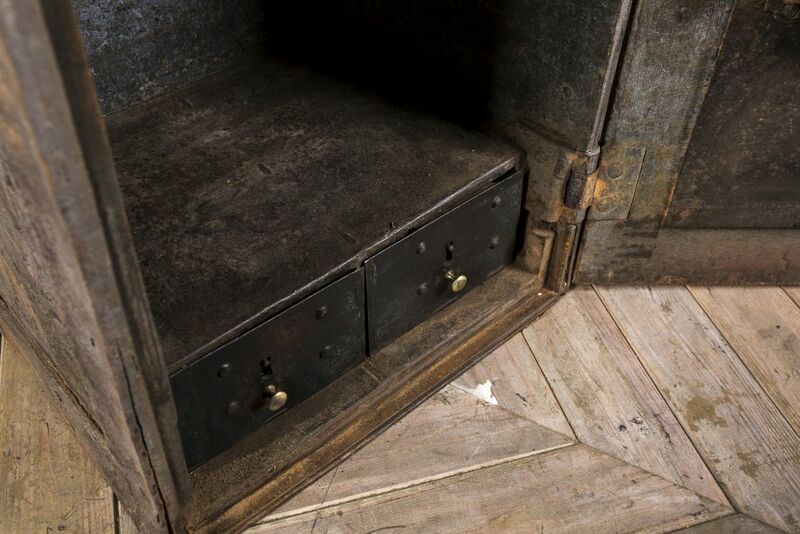 This Georgian safe is from circa 1800 but is still fully functioning and comes with its original key. 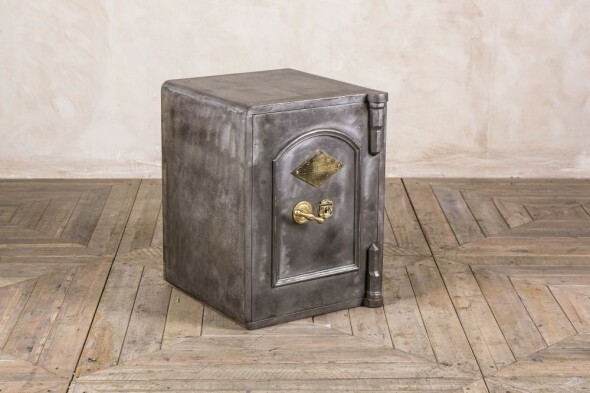 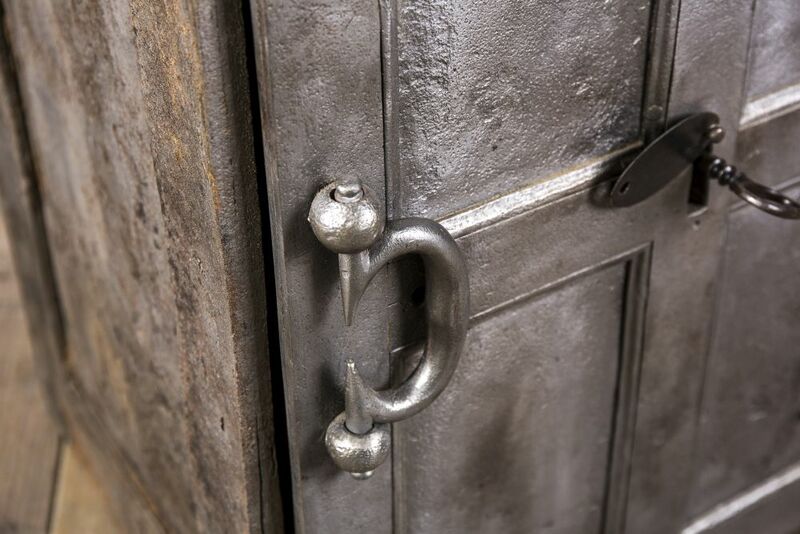 The exterior of the safe is gunmetal coloured and features bold detailing such as moulding and a chunky handle. 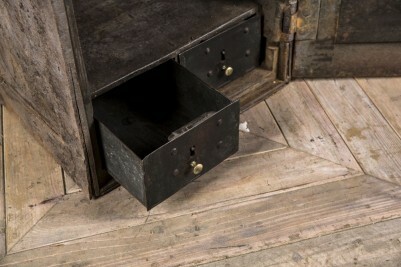 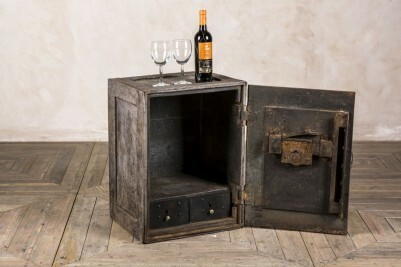 The interior of the safe has two small drawers to the base and ample storage space. If used in a food establishment it would be a great place to store condiments, napkins and menus. 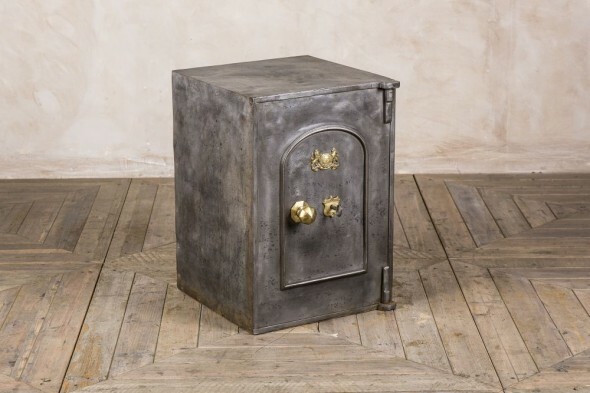 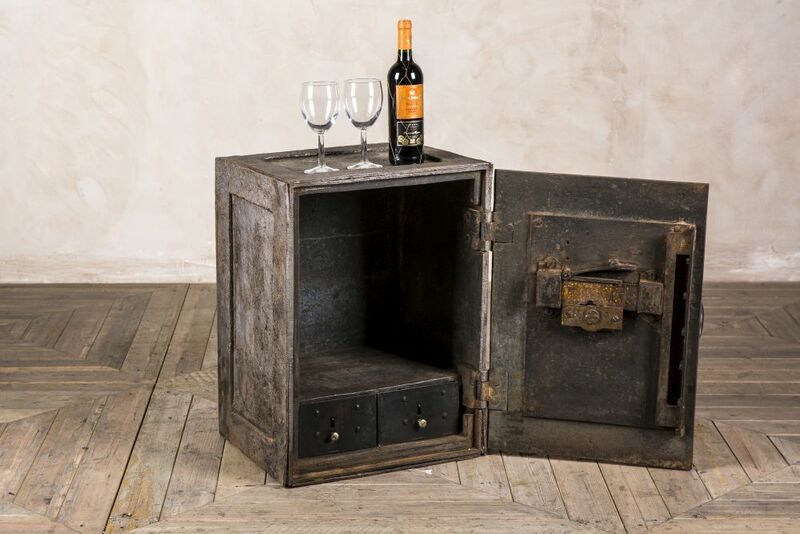 This safe would bring industrial style to any room; if used in a home it could be used as a quirky side table, lamp stand or bedside table. Alternatively, it would be an interesting standalone feature. 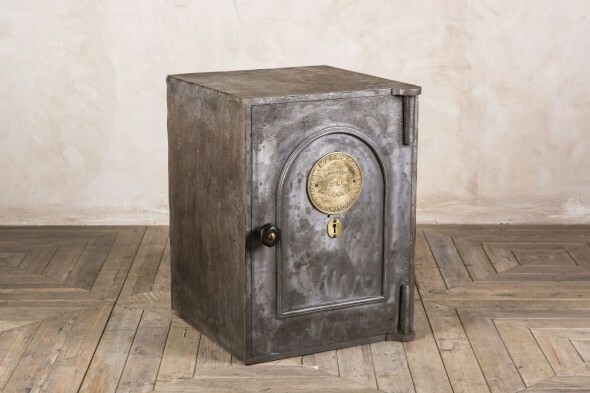 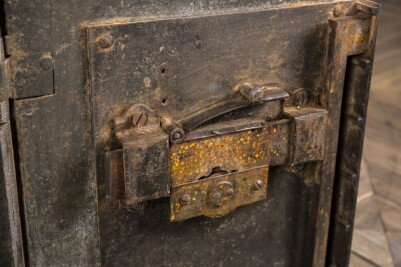 As this antique cast iron safe is approximately 200 years old, it will show signs of wear and tear. 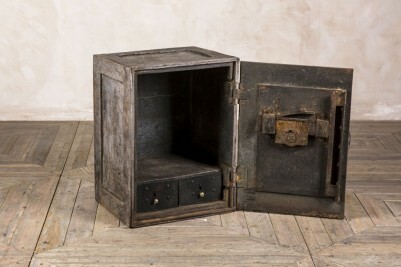 We feel that this only adds to the safe’s character.